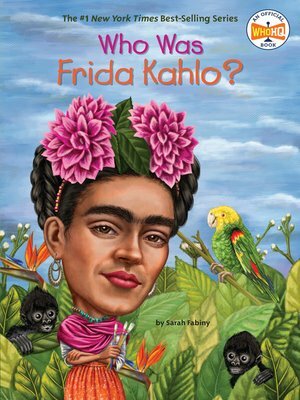 You can always recognize a painting by Kahlo because she is in nearly all—with her black braided hair and colorful Mexican outfits. A brave woman who was an invalid most of her life, she transformed herself into a living work of art. As famous for her self-portraits and haunting imagery as she was for her marriage to another famous artist, Diego Rivera, this strong and courageous painter was inspired by the ancient culture and history of her beloved homeland, Mexico. Her paintings continue to inform and inspire popular culture around the world.